As I’ve been closing up shop on this blog and Facebook, I realized that I do really love writing about things that I see in this epic world. This blog has been such a great way to write about whatever the heck I want and it has grown and stretched me in ways I never expected. It hit me the other day, there is a way I can still put content out in the world but with a lot less pressure, while holding myself up to a higher standard, and it will mean you don’t have to wait for me to publish new books. So what’s the happy medium? Well, that would be Medium. It was one of those “someone mentioned it once in a Facebook group, I mentally took note, and filed it away for a rainy day, and it hit me on a rainy day” kind of things. I have created an account on Medium and you can follow along with me in the future. I make zero promises on when I’ll start posting, haha, the whole reason I’m not creating new posts here is because I’m trying to simplify my life. But I do still want to write on the internet, so go ahead and follow me so you know when I post something new. Day 3445 – Happy Birthday To My First Book! Whoooo 2 years! 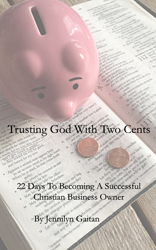 Can’t believe it’s been two years since I published Trusting God With 2 Cents: 22 Days To Becoming A Successful Christian Business Owner! Nearly every week, I meet up with a local custom jewelry designer and have a co-working meeting. What’s really really really awesome is there is some chatting, varying based on the type of week either of us is having, but for the most part it’s a “hey, how are you?” “Good? Great, let’s get to work.” Our headphones go in and we barely talk for a good two hours. Friends, having a co-working friend who will work when you work and not take it personally when you have headphones in, is priceless. The productivity varies each week too, but most weeks, I get a lot done. I work on my travel blog for the most part, but on some days where I’m really far behind (haha, like today where I’m writing on this blog at nearly 3 pm versus the normal 8/9 am). As I’ve had this practice, I’ve found how much it really makes a difference in my week. These days, I’m pretty busy with our real estate investing business. So to have a few hours each week to get out is really awesome. The photo below was taken at our regular stop a few months back. There is such a great vibe here in the coffee shop. There’s never any rush to leave. The staff is really nice and I just love being here. Do you have a favorite creative spot? Let me know in the comments below! I am getting SO close to finishing one portion of my major blog project (editing old content with my affiliate links, and cataloging my good stuff for ease of sharing/updating later). I have less than a year left in the posts I have already marked as needing my attention. The post below came up in today’s update. It’s wonderful how some themes repeat themselves in your life over and over again. I feel as though I’ve always been different and one who embraces being different. When I was younger, I think I was embracing and flaunting my differences to gain attention. But now, I embrace who I am, the choices I’ve made, and the things I say no to because I see how healthy it makes me. I wear my cloak not to stand out and say “look at me! I am different and weird and I love it!” But it now says to me “I am comfortable in this because it’s warm, it takes care of a need, and it is a reflection of me.” (which fun fact, my cloak is about 20 years old). Where before I would wear a fun shirt or wear sparkles to stand out, now I wear them because they make me genuinely happy. “This theme of being who you are meant to be has been haunting me for months. Maybe a year. This week though, it is evident in everything I do. It screams at me through the songs, the speakers, even the lines on the other side of this page. Every part of my being is aching to deepen this journey. To seek and find all that I truly am in Christ. I am excited, elated. I want to scream it from the rooftops. Yet, I feel the battle beginning to rage. The evil of this world already fights against me. As it always does when someone strives to be who they are in Christ. To let go of what the world and even Christians around them tell them to be. It is ok to be you. If you are keeping Christ as your central theme. Christ’s personality is so vast yet so precise. There is room for all of our personalities there. How glorious, how wonderful, it is ok to be you. I’m not sure what my theme of that book was. I’m not sure if it was even remotely about business since I had been photographing weddings for less than two years. But the desire to write a book has been in my soul for a long time. I can’t believe that I am so very close to putting my devotional on Amazon. I can’t believe in a short amount of time, I will be able to say – “Hello, my name is Jennilyn, I am an author.” I should have listened to past Jennilyn much sooner. I can only hope that this book will help more Christian business owners trust God more in their businesses and life. My journey into fulltime business ownership was something like the changing of seasons. It all started in fall, my absolute favorite time of year. The colors burst forth from all sides. The air is crisp and wonderful. There are warm mugs of cider, tea, or hot chocolate shared around the campfire. When I started into fulltime business ownership, it was much the same. The colors were brighter; this was something I had dreamed about for years. Ever since my early weddings, I knew this is what I wanted to do. Those first few months were wonderful. We photographed amazing couples, I attended one of the biggest wedding conferences in the world, I slept in (after I got over the belief that I had to get up when “everyone else did”), I saw friends during the day that I never could have seen otherwise. I even went to the daytime Bible study at my church. Bright oranges and yellows and reds, everywhere. As with the seasons of the year, it slowly crept into winter, so that when I sat up and noticed it, I couldn’t believe where I was. 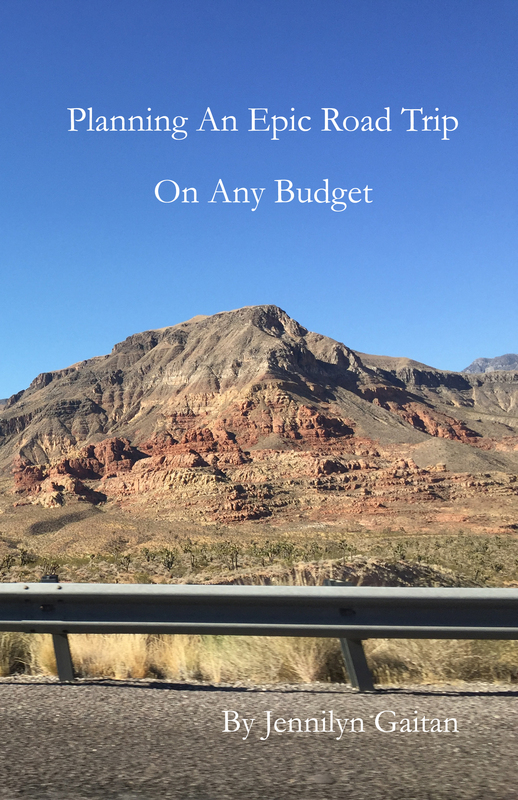 By January, I realized that while I had gotten inquiries and had consults, I hadn’t booked anything substantial. I was under this assumption that now that I was fulltime, I could merely increase my prices to reflect that it was my fulltime job and people would pay. It wasn’t until I stopped to think over the past months that I knew I had priced too high, too fast, and way above what we were worth at the time. My pride took a big hit. Isn’t that how most winters of our souls go? We are so caught up in other things that we don’t see the change in ourselves, how far we’ve fallen, and how much we need God. Isn’t it a time of God showing us a way we need to grow? Moving us away from our sinful nature and more into the nature of His Son? The winters show us how utterly desperate we are. This one was no different for me. Around this time is when we started praying before each consult. This change softened our hearts and made it easier to hold each opportunity with hands held open to God. He gives and takes away, after all. Everything we have is God’s, whether we admit it or not. I think the sooner that we realize this and live our lives like this, the sooner we’ll see success. I’m not talking about monetary success, even though it’s sometimes part of it. I’m talking about seeing success as how God is working in you. While it’s nice to be seen as an “expert” in something, and there is a part of me that takes pride in it, I can’t. There is no way I could have navigated that dark winter on my own. There is no way that I could have orchestrated my life to fit as well as it did in all those circumstances. Every success goes back to God; He is so wise to let us go through winters in life. If it weren’t for the winters, how on earth could we appreciate the spring? Spring bloomed gently around us until there was overflowing joy and rapturous beauty. We started booking weddings again, with wonderful people. Things were clicking. The machine was working. The floodgates were open with blessing. When summer rolled around, we were ready for the hot and sticky situation that met us. Bret was fired. His part-time job had been the main source of income we had over the summers. His military college benefits and monthly stipends only occurred in the nine months he went to college. On the bright side, there was only one day that we really freaked out. It was bad. You would think that after all that we went through in the months leading up to this point, we would have responded differently. The next thing I knew (only four days after he lost his job), I was attending a life-changing conference for women and Bret had found a job that would provide enough money to cover expenses until he went back to school. This excerpt is from pages 73-77 in Buy my book, Trusting God With 2 Cents: 22 Days To Becoming A Successful Christian Business Owner (this is an affiliate link to my book. This means we’ll get a small percentage of what you order, if you choose to order something on Amazon).